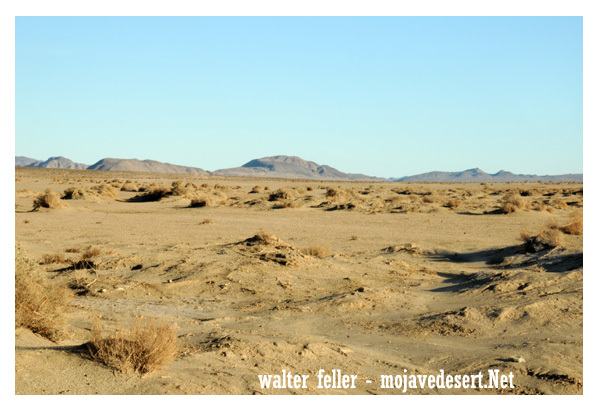 "Johnson Valley is a varied landscape for the off-highway vehicle driver. It is punctuated by steep red rocky mountains, rolling hills, open valleys, dry lake beds and sandy washes. Elevations range from 4,600 feet at Hartwell Hills to 2,300 feet at Melville Dry Lake. ..."
"This subsection includes mountains, hills, pediments and alluvial plain north of the San Bernardino and Bighorn Mountains and the Pinto Mountain Fault, from the Mojave River east to the linear depression ..."